After a rough start due to travel delays, I finally arrived in Boston late Friday morning! Running short on time, I made a quick lunch stop at Sweet Green and then headed right to our Newbury Street A Pea in the Pod for an afternoon of styling with local mamas-to-be. Each one was looking for something different, including the perfect pair of maternity jeans, a stand out shower dress or go-with-everything tees. Saturday started off at a fabulous breakfast spot called Tatte Bakery that I discovered in Beacon Hill. I definitely recommend this place; they have the most delicious pastries! Then it was on to Destination Maternity’s Natick store for another fun day of styling! 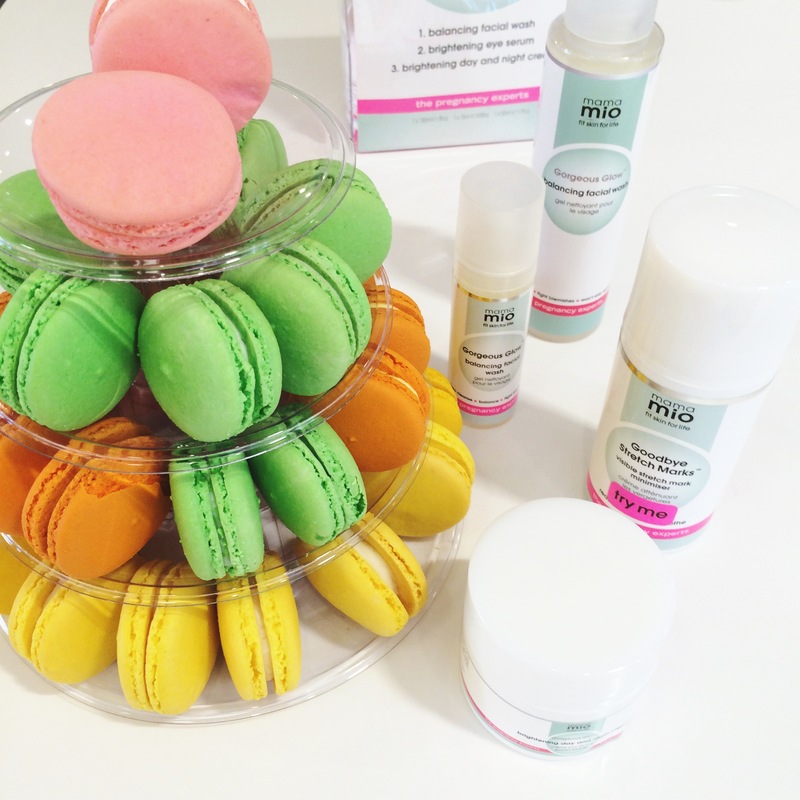 Brooke, a Mama Mio skincare expert—who is also expecting!— was on hand to give mini massages and talk skincare with moms-to-be. I helped Brooke start her maternity wardrobe with a few key pieces that are perfect for early on as well as later in your pregnancy like a striped A-line tunic that can be styled up or down. Two tips I share with all of my clients are: wear what makes you feel comfortable and also shop early, since most pieces transition with you through every trimester!